The best way to determine what features you need in a media asset management system (MAM) is to start at the end. So, when trying to decide what goes IN to your asset management system, you need to first establish what it is that you are trying to get OUT. 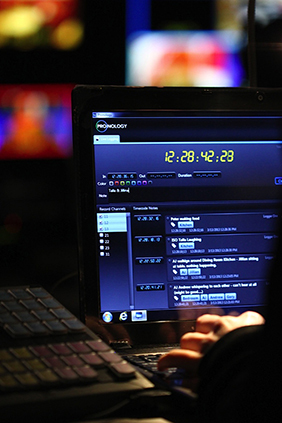 Several factors need to be considered, including: the primary use case for your assets, the non-linear editing system (NLE) of choice, what form of metadata contribution is needed and how are you planning to archive all of your content. Lets start at the beginning¦or really the end of the process. One of the biggest hurdles in the transition from the old method of capturing content on videotape is: how you are going to archive all of your content? Are you going to archive locally on a data storage format like LTO tape or optical disk? Do you want to archive completely off-site using cloud-based storage? Or perhaps you want to take a hybrid approach and do both? If you choose to go the cloud route, you need to make sure that your MAM can initiate a restore request to your cloud provider directly from within the interface. Its counterproductive and inefficient to find files in your MAM, and then have to find them again in a separate cloud interface. Another factor to consider when deciding to work to and from the cloud is to make sure that your restores can happen in an amount of time that you are comfortable with. The same goes for a locally hosted archive. Cross-referencing Excel spreadsheets is not the path to a happy asset management staff. The MAM has to control the restore process either through direct control of an LTO library or via direct communication to a third party storage appliance. Next, make sure that your MAM can handle the types of files that you work with most often. While transcoding is a necessity, it should be the exception, not the rule. 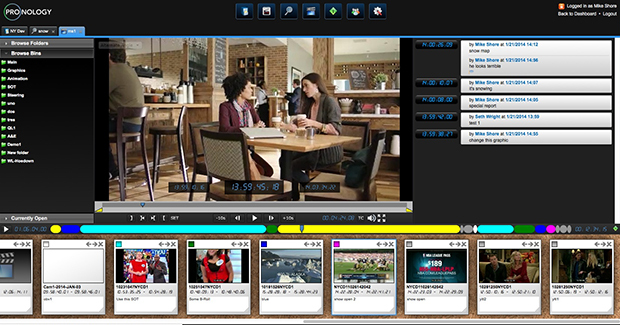 The majority of files should be in the format that your edit platform requires. There will be always be other file formats to deal with, and the MAM has to account for this, but make sure you can successfully handle the bulk of what is required without undo manipulation. In regards to logging and metadata, you must first establish what users typically look for and use most often throughout the life cycle of your media. Make sure that the metadata that you collect feeds into this retrieval process smoothly. What do users search most often? How can your MAM system make finding these things a more repeatable, reliable process? Are users going to be on-set, entering notes live on their phones or tablets while simultaneously juggling the demands of a live shoot? If so, predefined tags would be a useful tool so they can just click on their small screens. Are they going to be transcribing interviews verbatim? Then look for a system that has a simple way to do free text entry. Will they be doing this from home? That means a web-browser interface is necessary. Do all of these bits of metadata need to be timecode accurate? And does the metadata need to flow into the edit room automatically or just on-demand? The answers to these questions are of critical importance when considering the kind of system that you deploy. In the world of digital media asset management there is no one size fits all. It is important to work backwards to determine how the system will be used, before you can begin to choose one of the many solutions on the market. However, it is perhaps just as important to find a team that can help in specifying and configuring the required hardware and ensure that the pieces are properly integrated. Beyond just manuals, this may require on-site training, so in-house personnel can comfortably operate and maintain the system themselves. And while all of these factors are essential considerations in your search for a MAM system, perhaps the most important element is finding a vendor that is flexible enough to grow with your ever-changing needs.